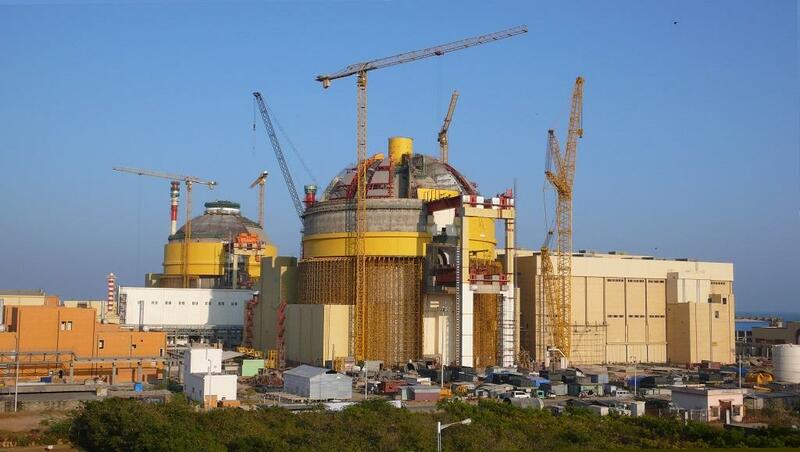 Failing to build an Away From Reactor (AFR) facility for Kudankulam Nuclear Power Plant’s spent fuel in five years as stipulated by the Supreme Court, the Nuclear Power Corporation of India (NPCIL) approached the apex court, seeking more time. Simultaneously, environmental group approached the court and requested an order to shut down the power plant until AFR facility is built. However, the court extended the deadline to build AFR to April 30, 2022. In 2013, NPCIL was given five years to build AFR for the power plant's spent nuclear fuel, which is currently kept within the plant. A three-judge bench, including chief justice Dipak Misra, Justice AM Khanwilkar and Justice DY Chandrachud pronounced the decision following the statement of Additional Solicitor General Tushar Mehta, who said that AFR facilities will be created in the extended time being sought by the NPCIL. The court rejected the plea seeking shutting down of the Kudankulam power plant until NPCIL built the AFR facility. Advocate Prashant Bhushan was arguing on behalf of petitioner G Sunderrajan. Bhushan said that it is absolutely essential that the reactor should be shut down till the time AFR is built. Spent fuel cannot be stored in the same compound, he said, adding that he is not against the extension of deadline. In his argument, he highlighted that shutting down the reactor should not be a big deal as it has been shut down at least 70 times for operational reasons since October 2013. The court did not agree to his demand and asked him to file separate petition related to his concern and suggested not to mix this with NPCIL’s plea on extending the deadline. International Atomic Energy Agency (IAEA) says that continuing accumulation of spent fuel at reactor sites has increased demand for additional storage of spent fuel at AFR facilities. India’s Atomic Energy Regulatory Board (AERB) had recommended an AFR facility for KKNPP for prolonged storage of spent fuel while granting site clearance. The Advisory Committees for Safety review of various Projects (ACPSR), during its 126th meeting in 2011, had also recommended that AFR should be finalised five years ahead of a power plant's operation.